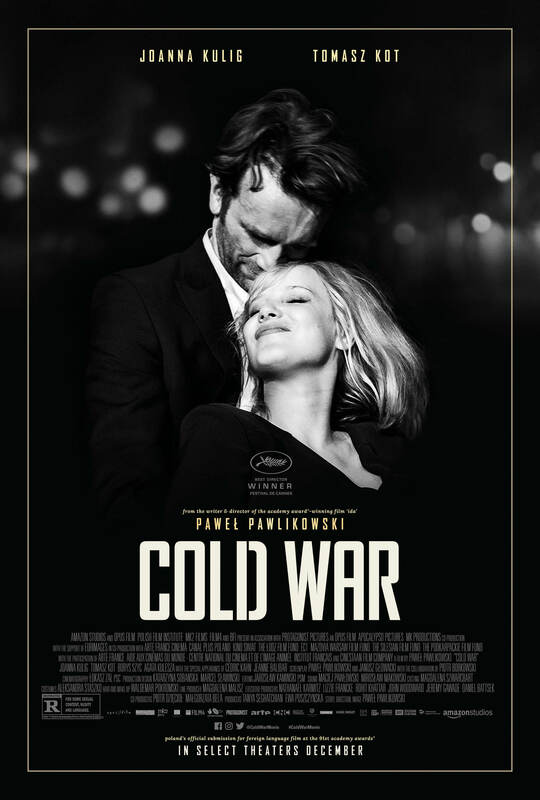 Cold War stands out immediately from its contemporaries with its monochrome presentation. Though it wasn’t unheard of to see a black-and-white film in the 2010s with Roma having been released in the same year, they were still exceptionally rare. In a story that takes place when the art of cinema was truly starting to come into its own, it is highly fitting from a meta standpoint. It has the look and overall acting of a film that debuted in Eastern Europe following the death of Josef Stalin and the subsequent relaxing of the censorship laws in countries under the watch of the Soviet Union. However, the monochrome presentation does more than imitate the look of an old film; it accents the overall melancholy tone of the narrative. Cold War paints a picture of just how terrible life in Communist Poland was. After being invaded by the Nazis in the Second World War, the people of Poland now find themselves bending to the will of the Soviet government. This is becomes apparent for the first time when the ensemble is forced to write and sing songs praising Stalin. The genuine Polish folk music is performed alongside this propaganda as though they’re one in the same, demonstrating the Soviets’ assimilation of these individual cultures. A career-driven opportunist named Kaczmarek even pressures Zula into spying on Wiktor, but she refuses to tell him anything of substance. The effects of this oppression are also evident in the relationship between Wiktor and Zula. The romance presented in Cold War is far from idyllic. Wiktor is a starving artist who has a horrible tendency to not think things through. Zula, for her part, is repeatedly shown to be in over her head, backing out of a plan to flee to France because didn’t have any confidence in herself for the plan to succeed. The result is a relationship that, while seldom physically abusive, has a negative impact on both parties. Other than a physical attraction, these two people have nothing in common. In many stories, it’s common for opposites to attract. Here, it leads to a cycle where they try to be together only to realize they can’t stand one another. After they break up, they try to work things out only for the process to begin anew. They really have no business attempting a serious, long-term relationship, yet their insistence on doing so causes them to make increasingly bad decisions. Zula notably admits to having an affair during the many instances in which they are separated. After striking her in anger, Zula returns to Poland. When Wiktor learns of this, he defies everyone’s advice and follows her there. This proves to be an exceptionally bad idea, for there is a severe penalty for leaving the country illegally. Predictably, he gets arrested and sent to a labor camp where he receives a nominally generous fifteen year sentence. He is exceptionally lucky to have not been straight up executed. Ultimately, the biggest paradox of Wiktor and Zula’s relationship is that while they clearly can’t even tolerate one another, the thought of being separated infuriates them even more. This is how, despite Zula’s clear dislike of Wiktor, she jumps at the opportunity to get him released sooner. She accomplishes this by seducing the sleazy Kaczmarek, marrying him and bearing one of his children. This prompts him to use his political power to free Wiktor. Once reunited, the two decide to end the destructive cycle once and for all. They take a bus to a now-abandoned church and commit suicide together by ingesting pills. Strangely, they are seen sitting outside and observing the countryside in the next scene and Zula suggests viewing it from the other side. Whether their attempt failed or not is a question left for the viewer to answer for themselves. While Cold War is doubtlessly an interesting character study, it does suffer from one glaring weakness. The many subtle ways in which the setting evolves, including the introduction of jazz to Europe, is interesting to watch unfold, but these developments barely get a chance to settle. This film takes place over the course of a decade, yet it has a runtime of only eighty-five minutes. This results in a highly compressed narrative that, despite its reasonable pacing, is too quick to throw out its plot points before moving onto the next scene. In order for a film to cover a decade’s worth of events, the narrative needs to allot each period enough time to do these story beats justice. I won’t contest that Cold War has an interesting, personal story to tell, but it’s in too much of a rush to make sure it sticks with the audience. Cold War is a bit of a strange film to parse. It almost seems to go out of its way to come across as a lost film from the titular era, yet its lightning-fast pacing and short runtime betray it as a product of its time. Though I can appreciate a work that has not even the remote semblance of filler, it’s important to know how much time to give your story. 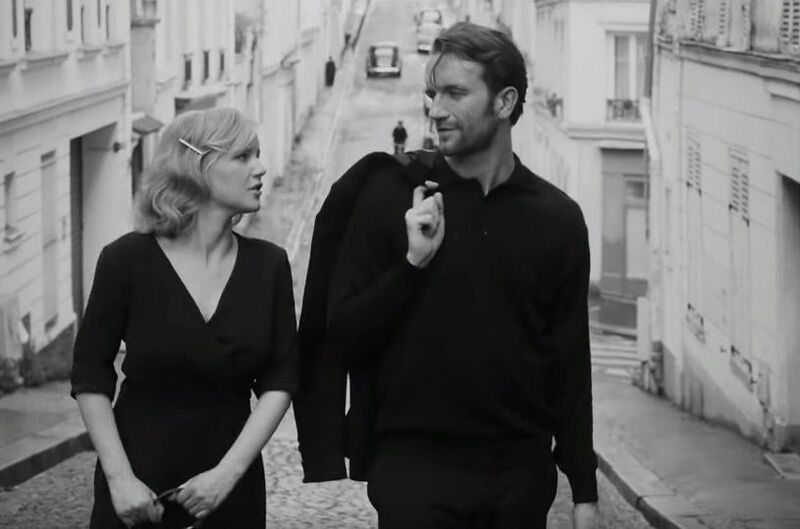 As it stands, if you like Cold War and are intrigued by the destructive romance of its lead characters, you’ll have to deal with the fact that the film is over before you know it. It’s good while it lasts and it is touching how Paweł Pawlikowski paid a loving, if unfiltered tribute to his parents. I only question if he truly did everything he could with this story. One covered this as part of the film festival editorial role I have. Plus there was a talk in London about it. All jolly good! But the film didn’t amaze me. Oh, which film festival did you attend? What were the people like? Anyway, I wanted to like this film more than I did because 2018 was probably the single most hit-or-miss year the American film industry has ever had. It is good, but the short length doesn’t give these story beats a chance to settle. It’s Barnes Film Festival, it’s a very small one. In it’s fourth year – I’m editing it for the director. Trying to plug it without showing off, eh. Check me out. But I agree about the film, yeah, but another Oscar nominated effort I can’t quite agree with. A beautiful-looking film that should have been longer. Nice review. Ah good, I’m glad I’m not the only one who felt that way. Thanks! You’re not, I agree as well. The film can afford about 80 minutes of running time if the narrative is much more focused, condensed and strives for simplicity in storytelling and does not deal with different timelines; in one word, has one or two motifs which are elegantly elaborated and given enough attention. This is the issue with Cold War, it is an ambitious project which should be 2 hours long (cca). Pawilikowski succeded with “Ida”, in creating a rather short film which is well-paced and does not cover too much ground. Dealing with trauma, religion and melancholy, it is great, you get an impression of the director being both ambitious and humble. Cold War wanted to be too much in a short running time, suffered from too much ambition and ended up being too little. Although, aesthetically it is wonderful. Yeah, that runtime worked for the films in the Three Colors trilogy because those were, as you say, focused, condensed narratives striving for simplicity. I personally wouldn’t have objected if Cold War were roughly the length of Giant because the amount of time it covers needs more, well, time to settle. As it stands, it feels like reading the Cliff Notes version of a grander story that was never made.